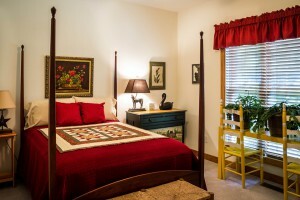 The last time someone slept in the guestroom bed was probably the last time you had overnight guests. It’s not as if you take naps in there when you’re bed is available. It might have been an entire year since you changed the sheets from the last visit. That means it is time to strip the bed and get freshly laundered sheets, pillowcases and blankets on that bed. Double-check the pillows to make sure they’re still fluffy. Your out of town guests will need some space in the closet and/or guestroom dresser. This is a perfect opportunity to get rid of outfits you’re never going to wear again. Just think of how much more room you’ll have when you’ve gone through everything. Check in with your out of town visitor to see what preferences they might have regarding drinks and snacks. That is especially true for the morning. Are they a coffee person or a tea person? You can even set up a mini coffee station in the kitchen with all the things they would need in the morning for a fresh cup of java. Since the last time you had guests a year ago, that guestroom could have become filled up with a lot of “cast offs” from around the house. This is usually where things like old chairs, TVs and other storage items end up. You don’t want your guest sleeping in a room full of junk. Sounds like a big job but it’s not when you hire Junk King Monterey. The two-man crew assigned to your junk removal session can swoop in and clear out that guestroom in no time at all. They can also gather up all the discarded clothing items from the closet. Junk King can drop off all of that stuff at a local charity. Getting your guestroom ready begins with a call to Junk King Monterey. This entry was posted in Monterey Junk Removal and tagged guestroom, Junk King, Junk Removal on November 30, 2017 by Junk King. Last updated December 3, 2017 .